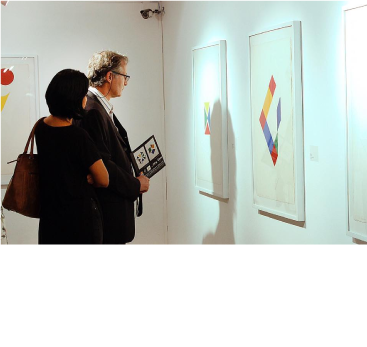 A museum is the epitome of a brick-and-mortar location challenged by the digital culture. Museum displays are filled with one-of-a-kind items and yet, museums struggle to attract younger generations who prefer rich media formats more readily available online. However, this tendency is not exclusive, as retail stores also continue to lose clients to their online counterparts despite their lack of a physical touch. 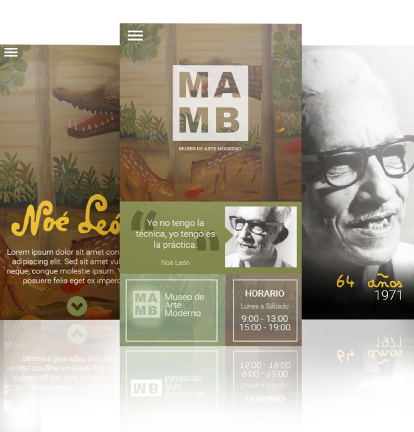 The Modern Art Museum in Barranquilla (MAMB) has a website to promote the many different exhibitions. The staff updates it regularly and has launched social media initiatives to encourage young visitors. 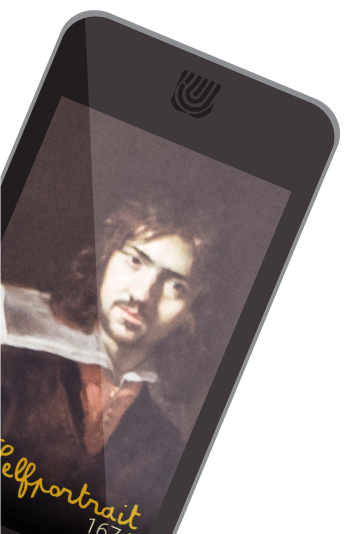 Following this strategy, a mobile app would be the obvious next step, but the museum decided to go even further. 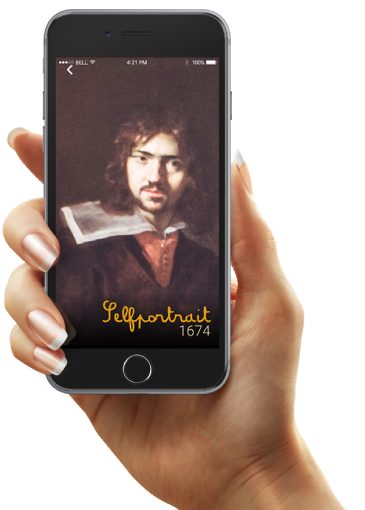 MAMB collaborated with Joonik to test a new approach that would integrate the digital and physical worlds of the museum into an augmented reality experience for visitors. The MAMB has a special location, designed for temporary exhibits showcasing a particular artist. This location shows the life and work of an artist as a floor-to-ceiling, four-wall infographic. The visitor can read interesting facts written on the wall and appreciate samples of the artist’s work. This was the perfect place to add a new layer of digital content including video and sound files. 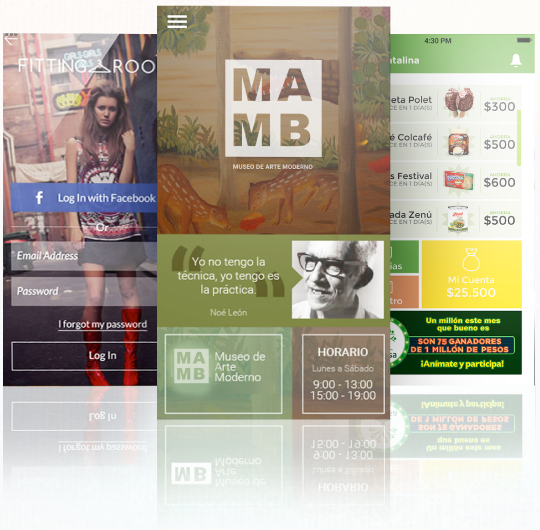 Our team’s task was to enhance the content, integrating it into the existing display instead of merely providing an add-on, separate experience. 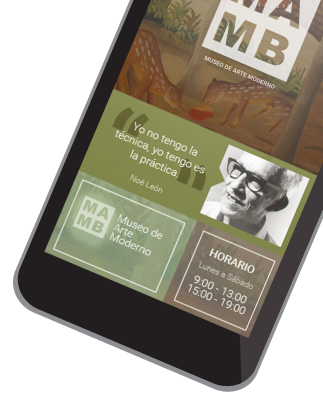 Our solution was to design a context-aware mobile app that could guide and enrich the visitor experience. To implement this, we needed to locate each point of interest in the exhibit. Since these could be as close as a few inches apart, GPS was not an option. We wanted to provide a seamless experience so printed codes such as QR and barcodes were also discarded. In the end, Bluetooth beacons were selected as the most suitable option. Joonik’s experience with this technology allowed us to use these small size, low-cost and easy maintenance devices as virtual tour guides. The beacons act as micro-transmitters, each emitting a distinct signal that is read by the app and converted into location-specific screens and media. Placing beacons inside the exhibit, we developed an app that enhances the visitor experience by providing more information on each piece in display, enabling an interactive, content and location aware tour for visitors. It delivers additional information on every piece and can include rich media such as sound, video and high definition pictures - a true merger of physical and digital resources.